Sometimes in life there’s something you really, really want – more than anything – and you just don’t get it. Even worse, sometimes you have to watch somebody else beaming with pride as they take the one thing which would’ve filled you with so much joy. For some of us, this could be your ex being flaunted by a new flame, for others, this could be the last pair of those boots you liked in the January sales, snatched from under your nose by a crafty shopper. Maybe you feel you deserved that lottery ticket or promotion more than the person who got it? Maybe deep down you know you don’t? Either way, this sort of rejection can really hurt. I therefore always feel a very slight pang of pity for actors and actresses at award shows, who have to grin and bear it with rictus smiles and mechanical clapping as somebody else snaps up ‘their’ coveted award. Their triumphant acceptance speech lies folded and useless in their pocket and at home, their mantelpiece lies dusted in anticipation for a trophy which will never arrive. Some manage to hide their feelings with the magic of their trade, forcing light and happiness into their eyes as they play the part of Gracious Loser. However, others just can’t quite hide the bitterness and rawness of the defeat. At last night’s 75th Golden Globe awards ceremony, Hugh Jackman couldn’t hide his woe as James Franco picked up the award for Best Actor in a Musical or Comedy Motion Picture for playing Tommy Wiseau in The Disaster Artist. Hugh had been nominated for his performance of circus entrepreneur PT Barnum in The Greatest Showman and – like many of his fans – seemed quite horrified at not having walked away with the honour. Never mind Hugh, you still have legions of fans behind you, ready to defend you to the death with their wolverine claws. Nothing against James Franco or anything but Hugh Jackman deserved that so much more, he spent more than 7 years just preparing for that role in the greatest showman… DID WE WATCH THE SAME FILM?? 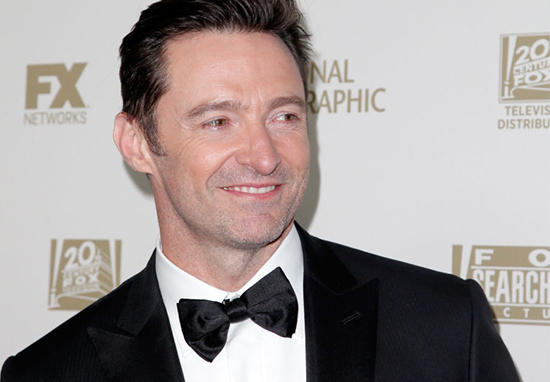 Hugh Jackman was robbed at the Golden Globes; that man is probably the hardest working in show business, pushing 7 years for a fantastic musical against all odds. Me: Hello? I'd like to report a robbery. Officer: Of course, ma'am. What was taken? Like so many times in life, Hugh’s night of sorrow was another’s evening of ecstasy and for James Franco, this was a moment of blissful celebration. James brought Tommy Wiseau – creator of bizarre cult film The Room which is the foundation for The Disaster Artist – to the stage. A lot of people say Jackman’s reaction – spotted by so many fans – wasn’t because he lost out on the award, rather James Franco’s bizarre moment of inviting Wiseau (the inspiration for his movie The Disaster Artist) up on stage only to swat him away when he went to say something on the mic. Well done James and Hugh – you were both great in my opinion!